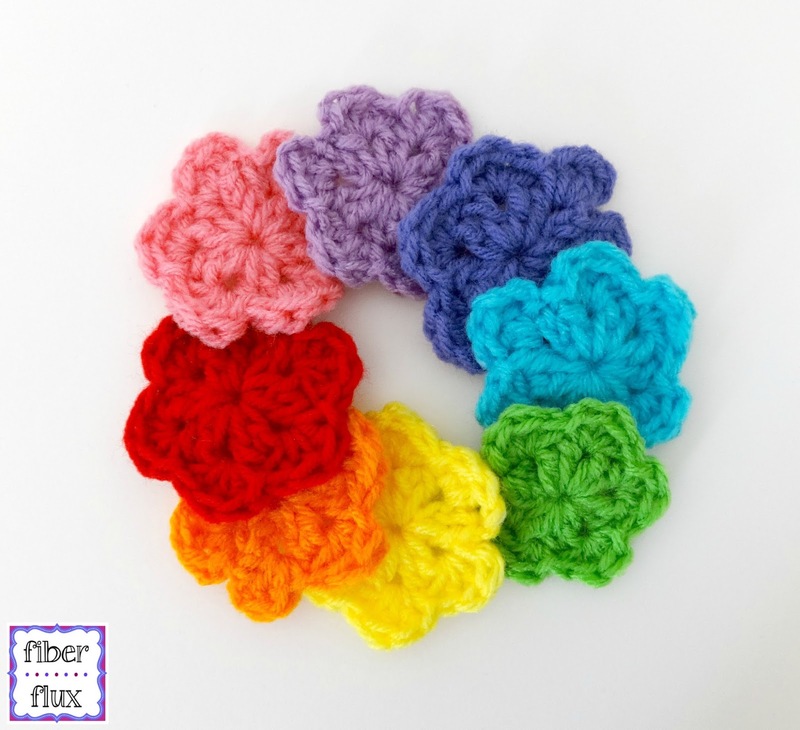 Fiber Flux: Free Crochet Pattern...Rainbow Blooms! 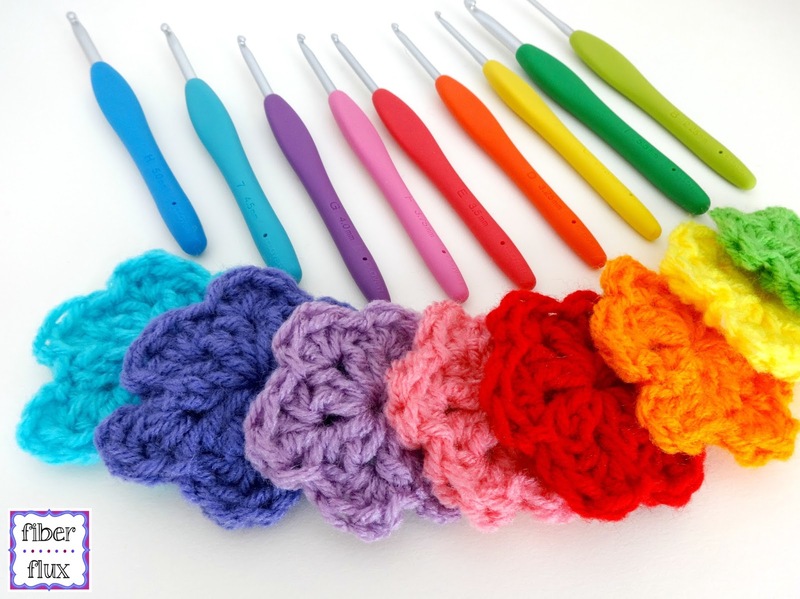 These happy little flowers are easy to make and work up in just two rounds! Use them as an applique or make a whole meadow of them! Worsted weight yarn (yarn shown is Red Heart Super Saver in "Cherry Red" "Perfect Pink" "Spring Green" "Lavender" "Orchid" "Turquoise" "Bright Yellow" and "Pumpkin"
Note: Any yarn can be used for this pattern, check yarn label for recommended hook size for best results. 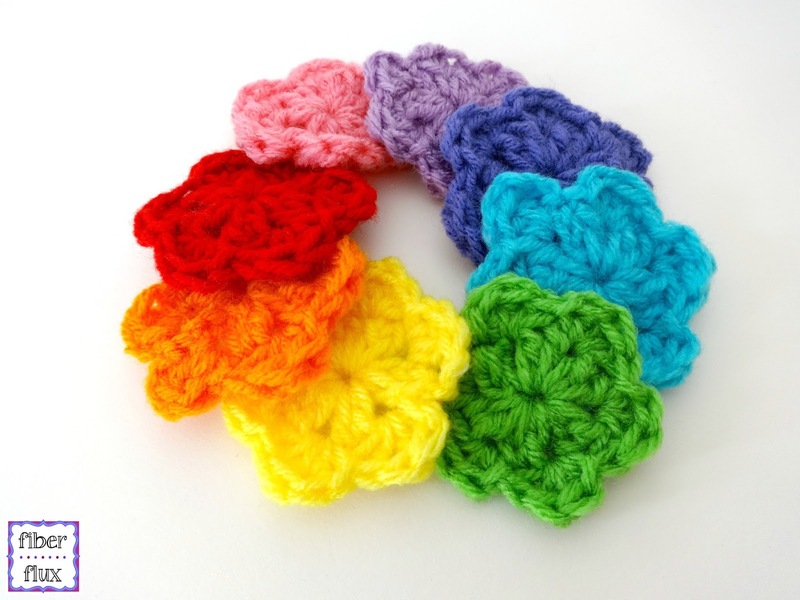 Made with worsted weight yarn and J hook, each flower measure approximately 2.5 inches across. Sizing will vary with different hooks and yarn. Round 1: Ch 3 then work 11 dc into the center of the ring, Join to close round with a sl st. Round 2: Chain 3 and in the first space, work (2 dc, then a sl st). *Skip the next space. In the next space work (3 dc, then a sl st) all in the same space. Continue from * to end for a total of six petals. Join to close round with a sl st. Fasten off. Weave in all ends and you're finished! 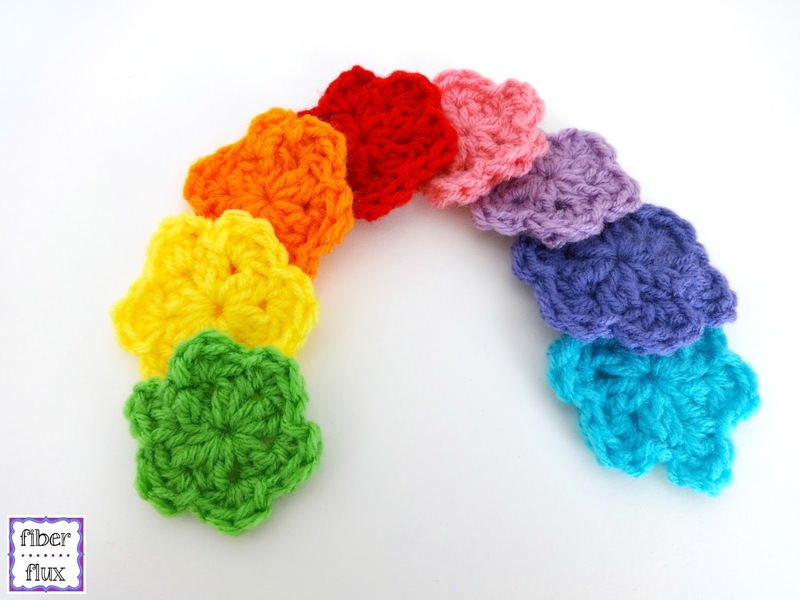 Use as an applique or layer for a colorful effect. Check out this project where I used the flowers, plus some buttons to make fun headbands! Great give away. I think I would try some Rainbow Blooms. I can't wait to get startef! Goodness, I'm not sure what I would make, but I would sure stay busy for a while. I always need yarn for the posts I see every day! Thank you. Great video and clear on instructions.